MoMM 2.c J. B. Hill, son of Mr. and Mrs. Fred Hill, attended Victory High School. 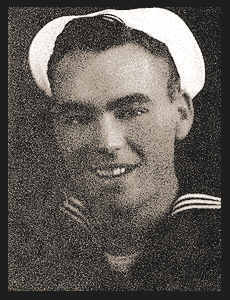 Entered Navy in Sept., 1942, trained in San Diego and Oceanside, Cal. ; went overseas in May, 1943, served in Australia and New Guinea, also in San Pedro, Cal.